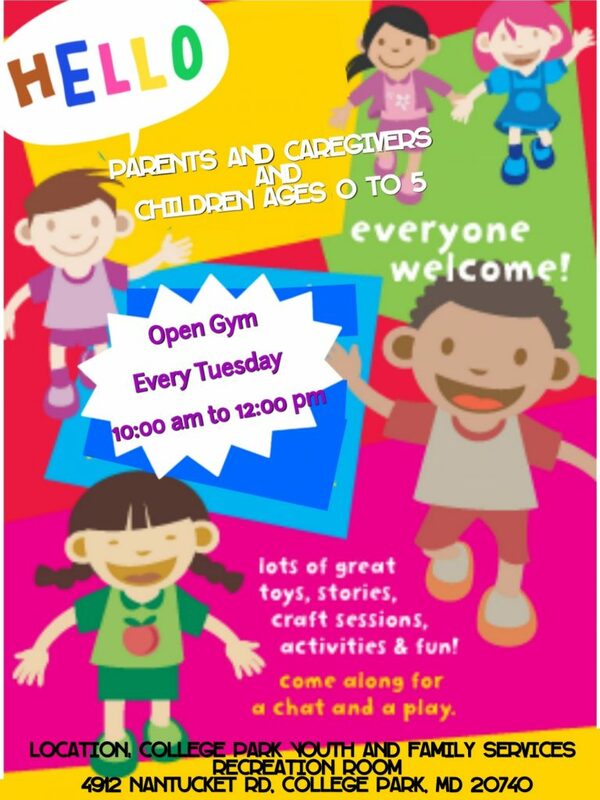 Come join every Tuesday for Open Gym at the recreation room of the Youth and Family Services (YFS), 4912 Nantucket Road. This time is for young children to explore and have unstructured play time in a safe environment. Also, a place for local caregivers and parents to meet and engage with each other.